On January 2014, in the Yaguchi-Shimo Maruko area, the "Tamagawa Seven Lucky Gods" were born, they are the newest Seven Gods of Fortune. 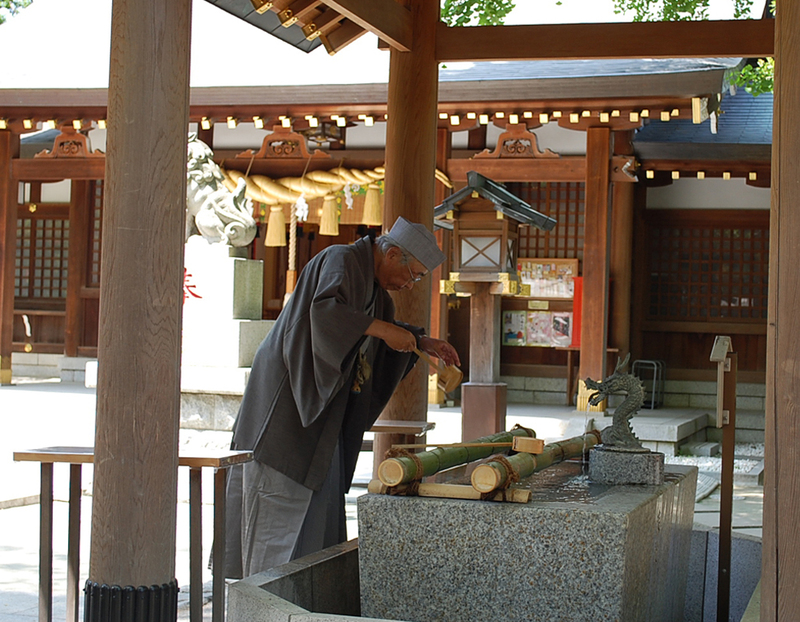 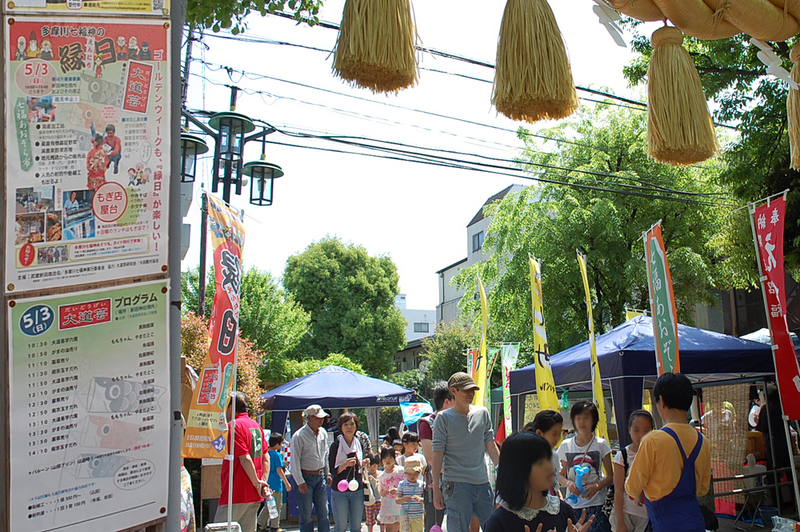 The Tamagawa Seven Lucky Gods Festival is held on the first Sunday of every month, in the area around the Nitta shrine that has become the starting point of the Tamagawa Seven Gods of Fortune procession. 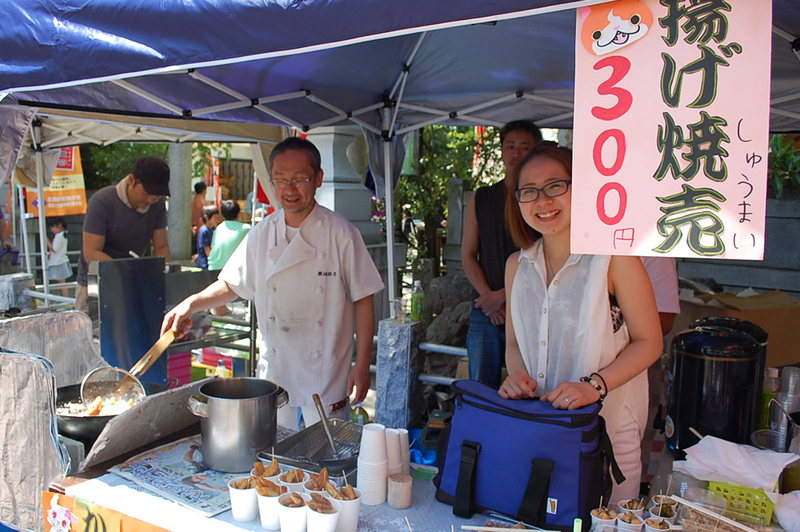 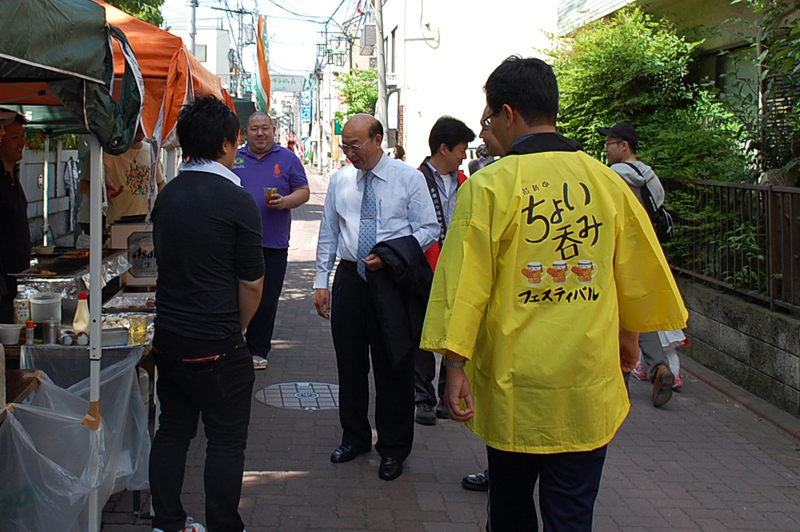 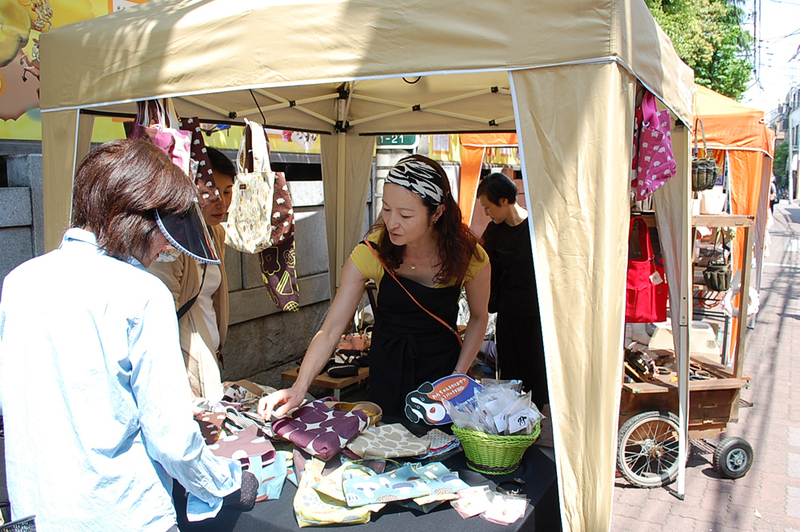 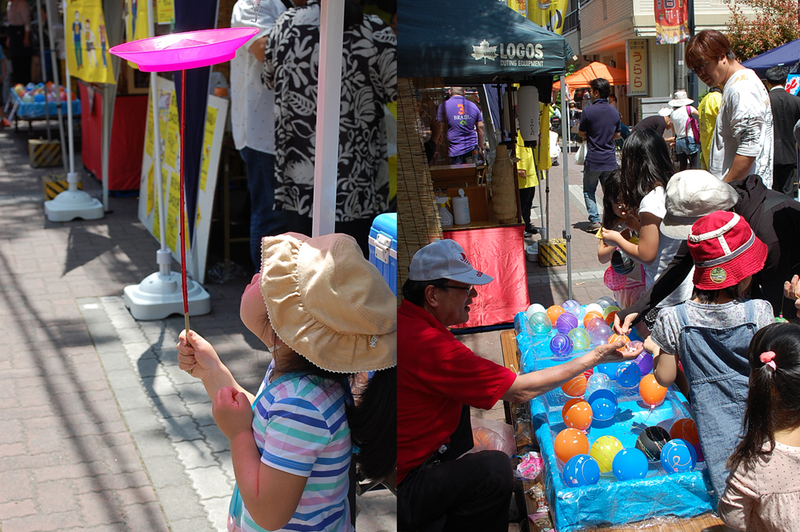 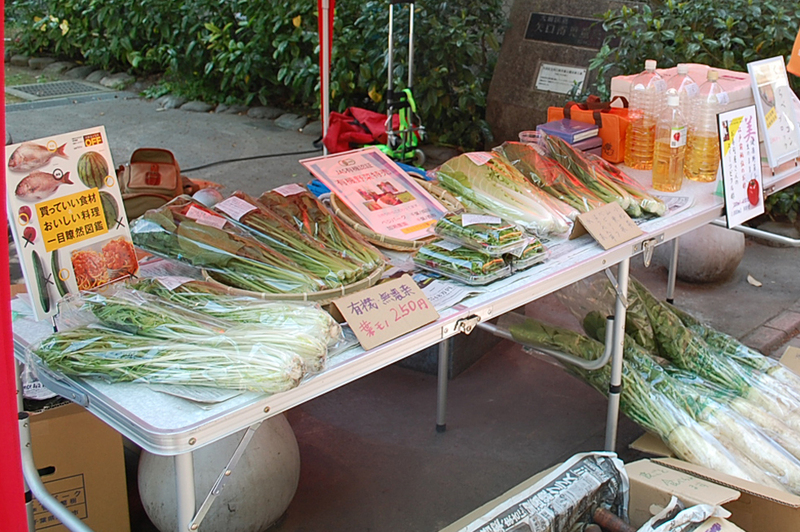 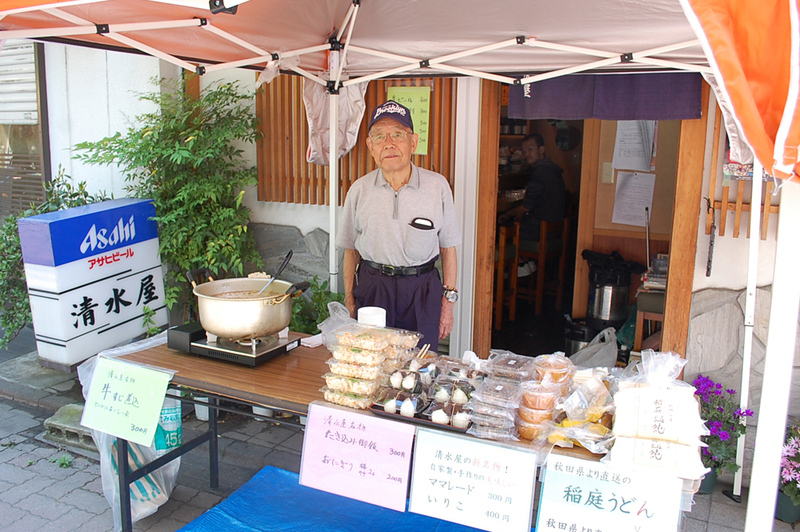 There are shops of the Stores Association selling delicious gourmet food, stalls with games like fishing balloons and other events are held. 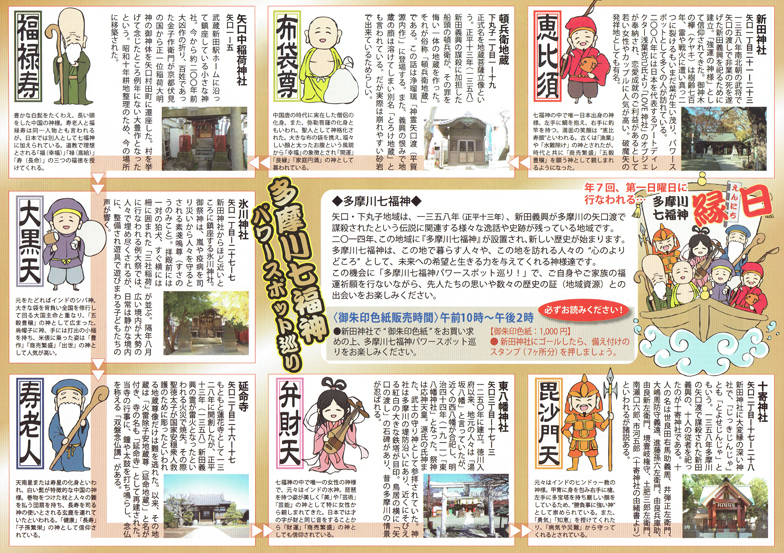 ●January 2016 "The Tamagawa Seven Lucky Gods Procession" and the "Armored Samurai Parade"
Why not visit the "Tamagawa Seven Lucky Gods" of this artisan town who are turning 3 years old since their birth? 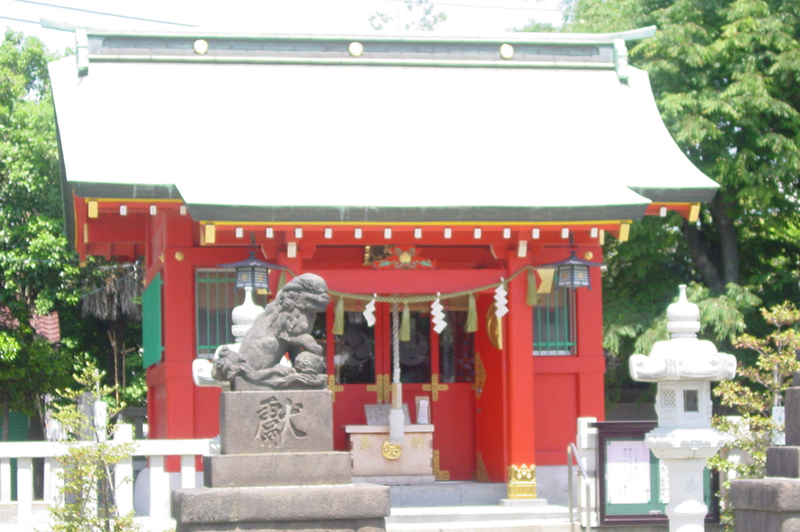 The Tamagawa Seven Lucky Gods are the Seven Gods of Fortune of the town that has become the location of the recently much talked-about "Shitamchi Rocket" (Tsukuda Factory). 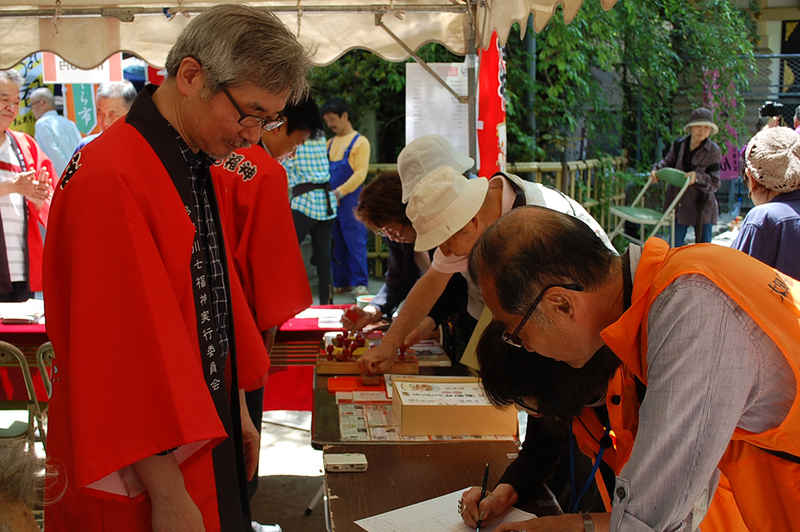 From January 1 (Friday) to 4 (Monday) participants of the Seven Lucky Gods procession (those who have bought the 1000 yen samurai seal letter) may partake of the "wine of the gods" and "sweet red bean soup". 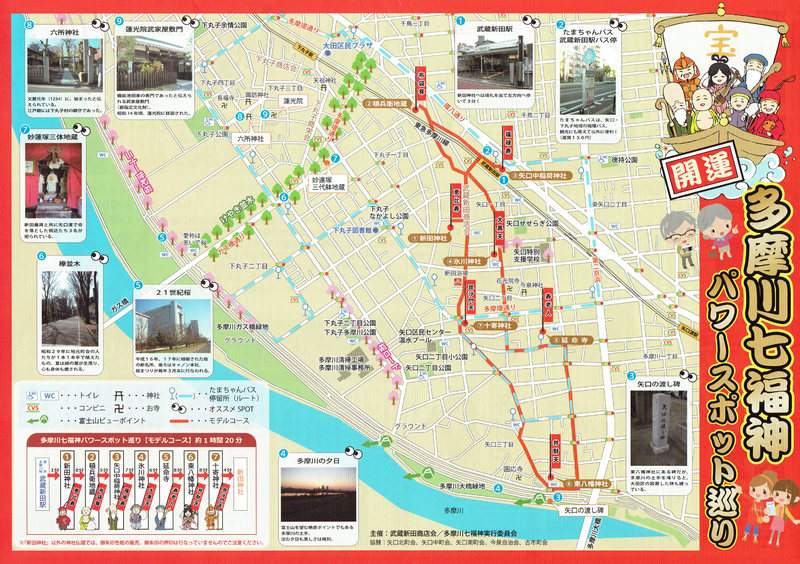 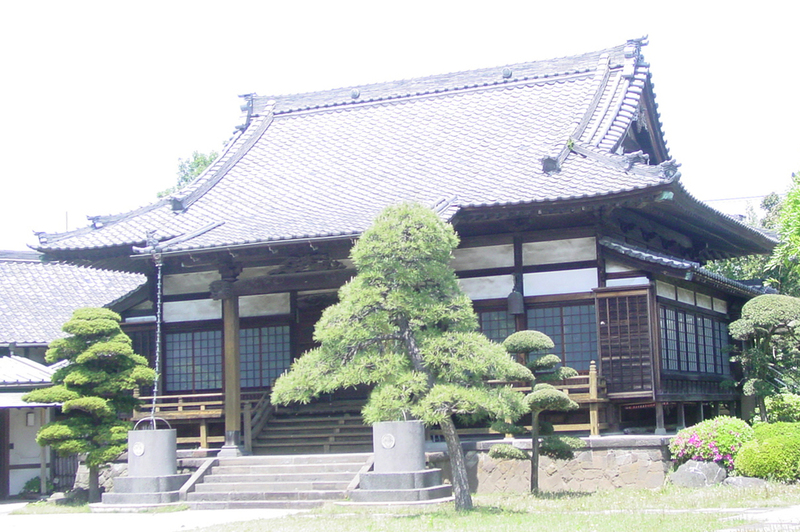 In addition, on January 4 (Monday), Tamagawa Seven Lucky Gods guided tours will also be carried out. 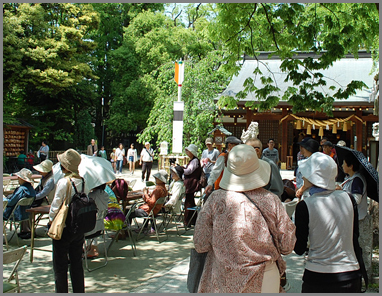 Reception is from 10:00 AM to 1:00 PM, and will start anytime once groups of 7-10 participants are formed. Advanced reservations are not necessary as long as you can come within the indicated times. 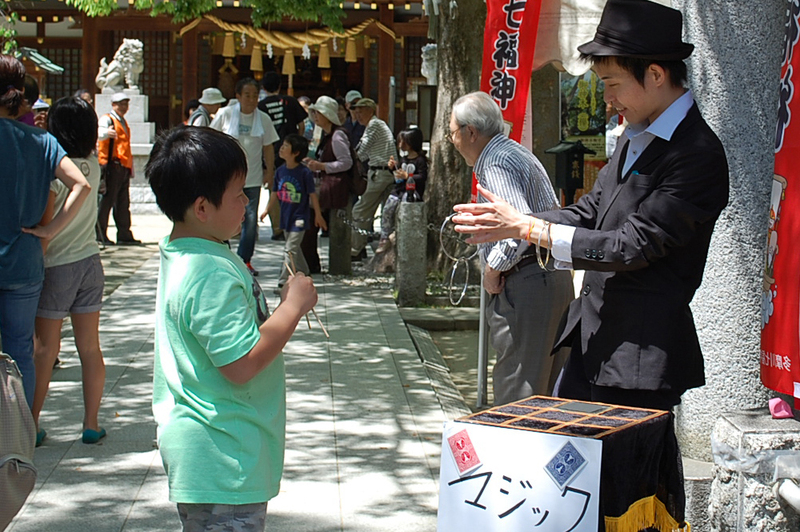 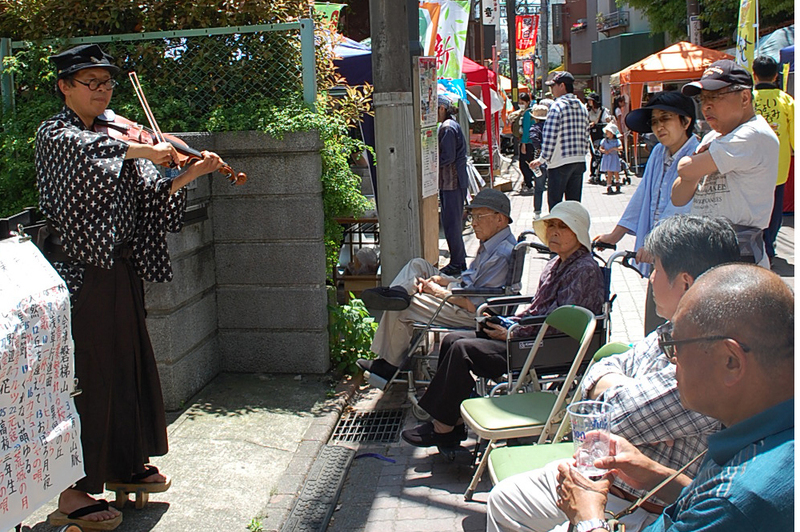 On the day itself you will also be able to view the "street performance". 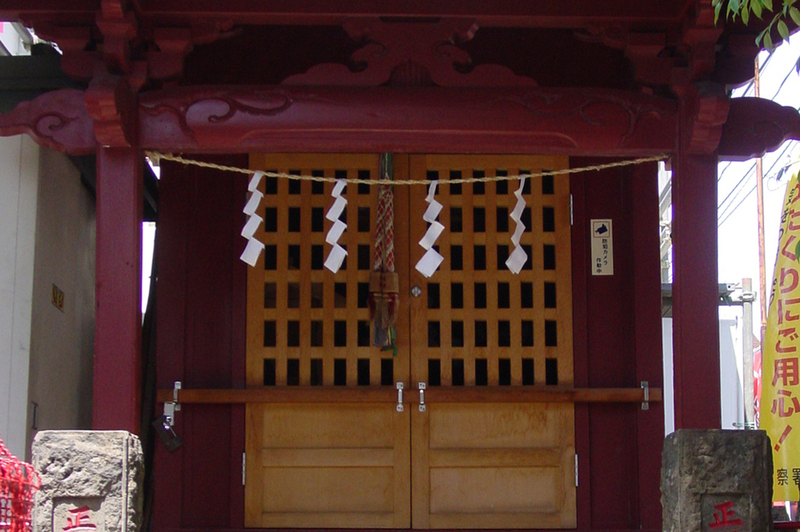 January 10 (Sunday) and January 31 (Sunday) are the festival dates of the Tamagawa Seven Lucky Gods. 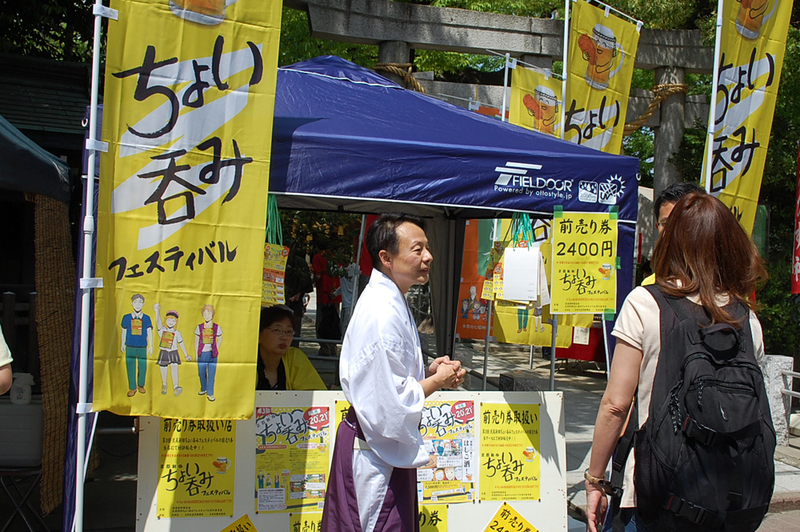 Many refreshment booths will be set up. 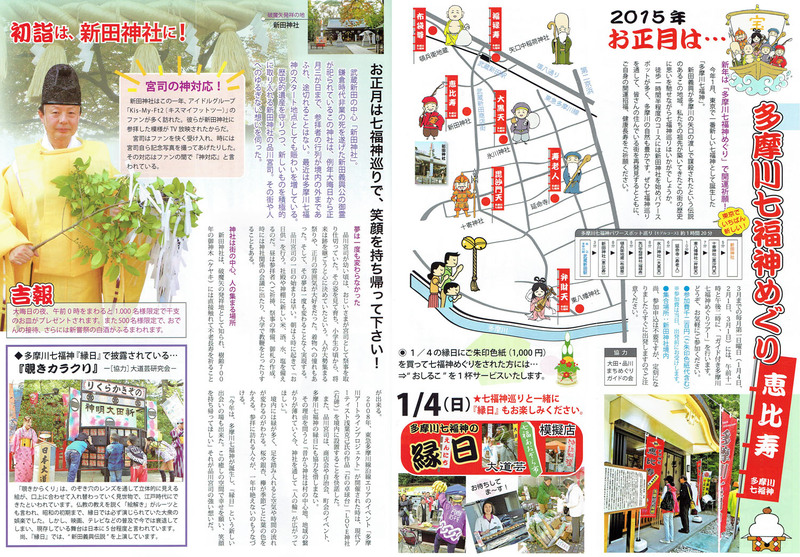 Furthermore, on January 31, the "New Spring Festival" of the Musashi-Nitta Stores Association will also be held, and the first "Armored Samurai Parade" for this year will be held. 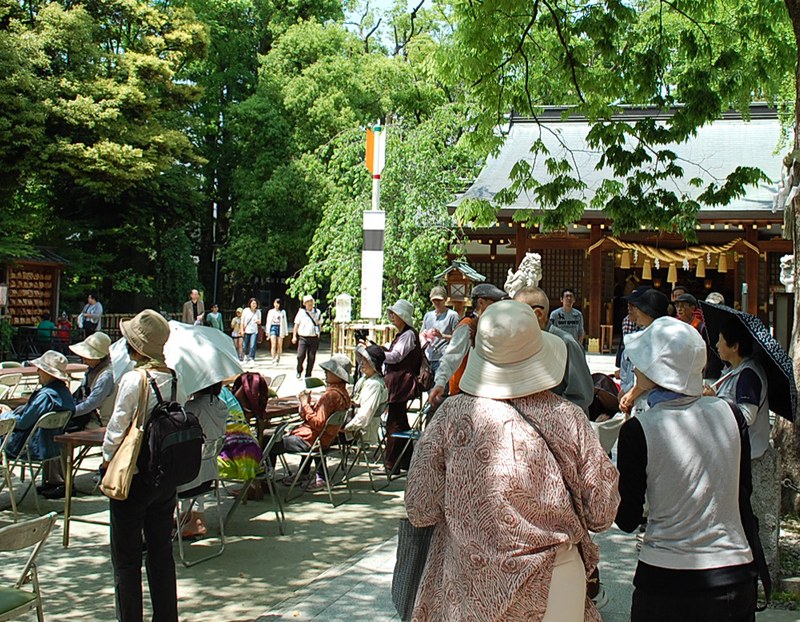 Everyone will don the armor that they have made themselves, and anyone from the age of 8 to 80, women and foreigners too, can become "samurai" and join the first ever Samurai event in Tokyo. 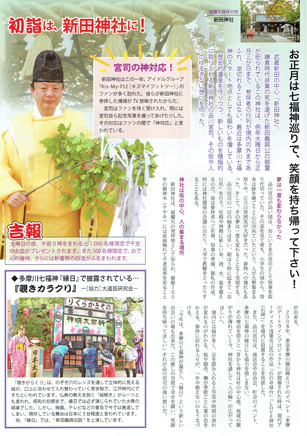 ＊Click the image to enlarge. 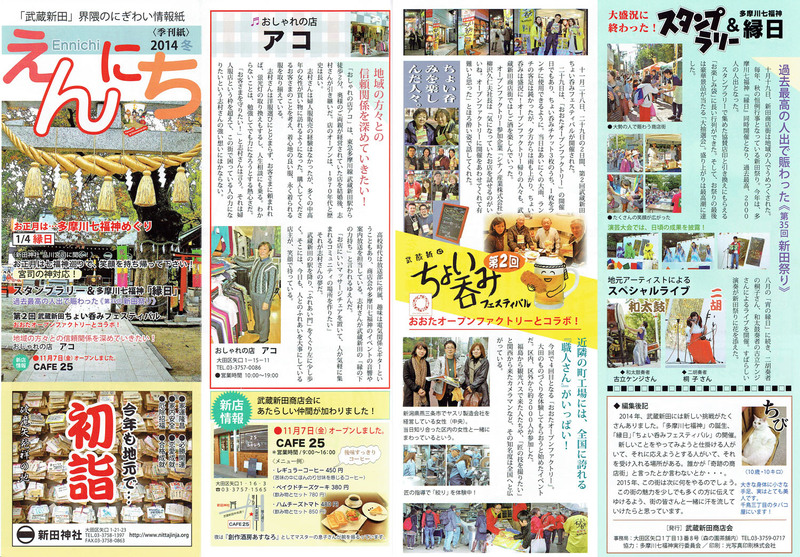 An informative paper announcing seasonal events and celebrations in the Musashinitta community. 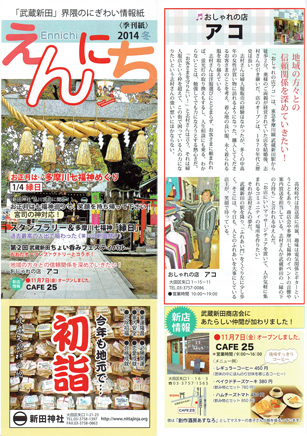 Published quarterly. 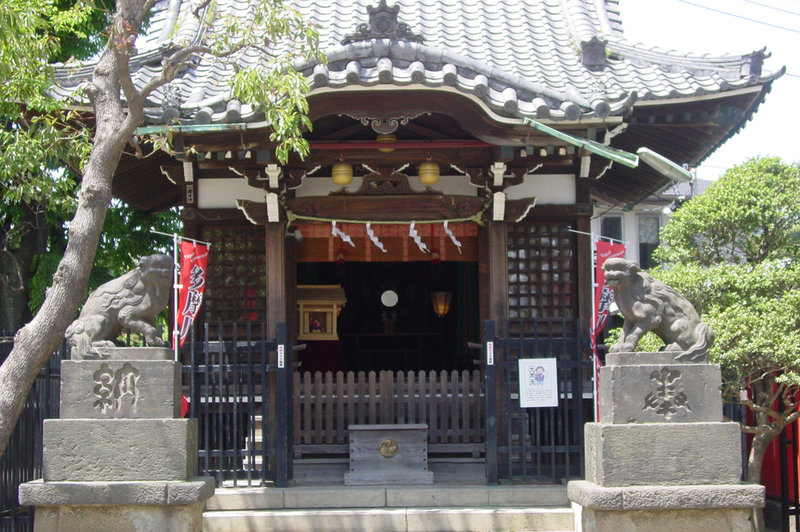 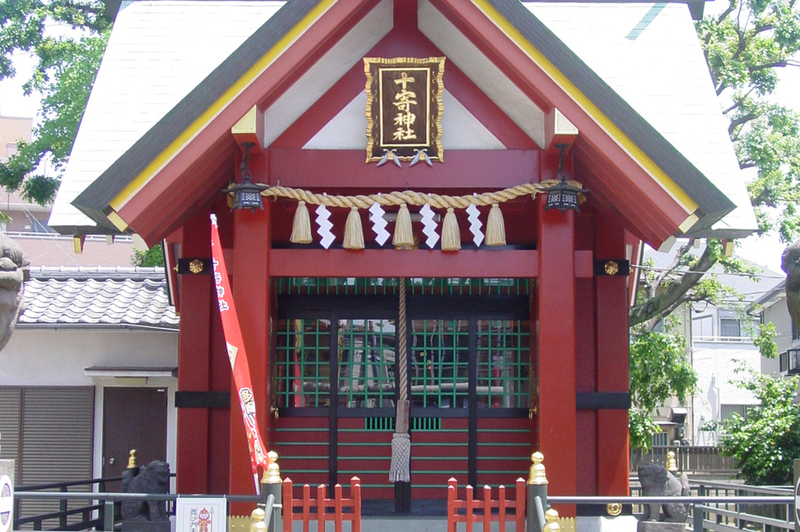 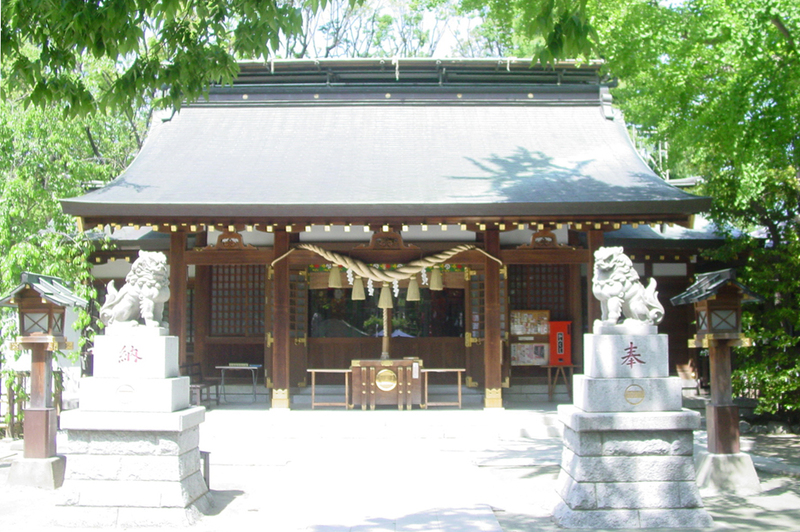 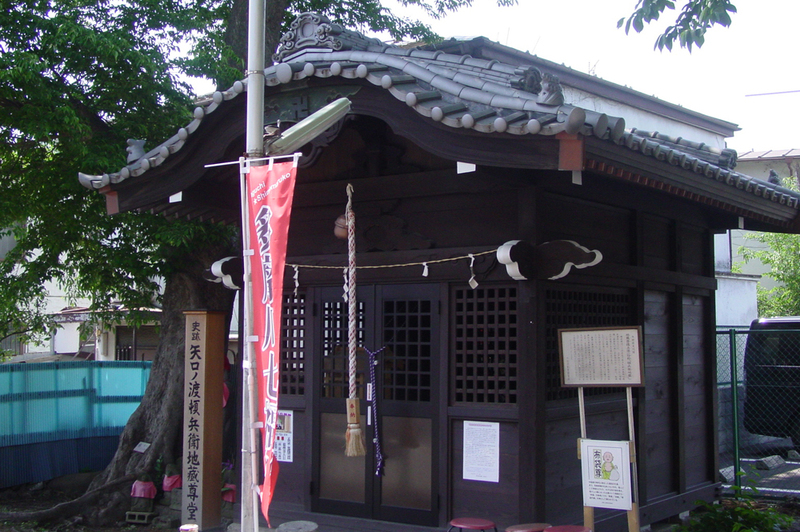 The "Tamagawa Seven Lucky Gods Procession" starts from the Nitta Shrine where the Hamaya, ceremonial arrow to drive away evil spirits is placed, and goes around the historical Yaguchi - Shimo Maruko - Tamagawa area. 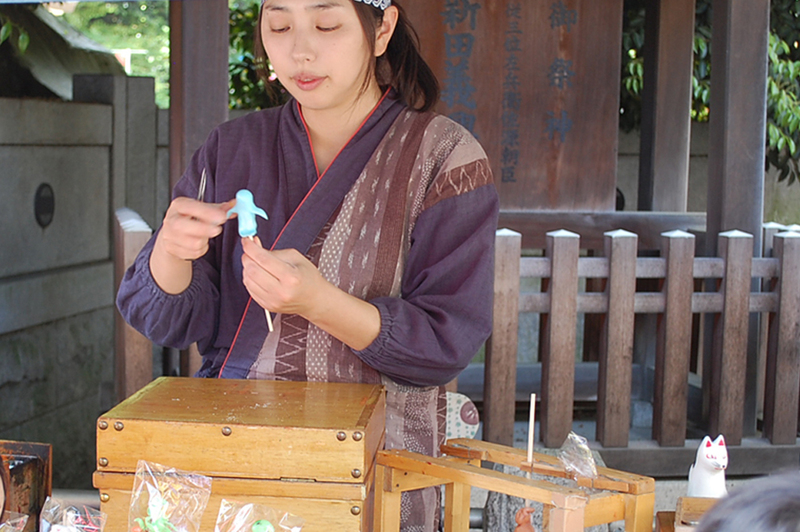 The required time is approximately 1 hour and 20 minutes. 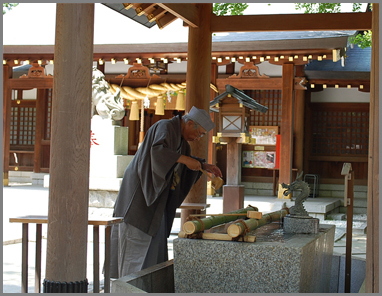 Why not reflect on the town's history while praying for good fortune from the Seven Lucky Gods at our new popular locations?